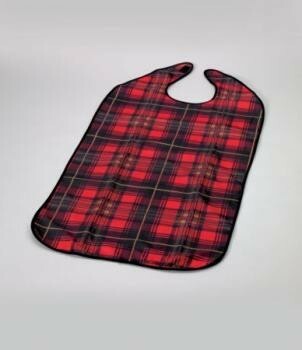 This bib has a waterproof backing and neat hemmed edges with easy to fit hook and loop fastenings at the neck. Deluxe Dining Bib...This bib has a waterproof backing and neat hemmed edges with easy to fit hook and loop fastenings at the neck. The bib is a generous size for maximum protection and comfort.